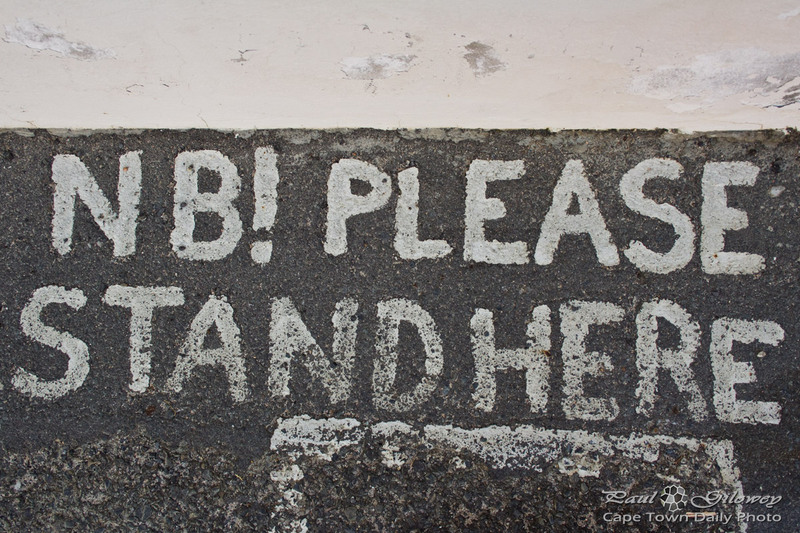 I was so excited when I saw this sign painted on the ground outside someone's home. I expected cookies, so I stood. For a while. But, I bore easily - so I left. Posted in General and tagged signs on Tuesday, 13 March, 2012 by Paul. Hi! Just wanna say thank you for this homepage! I am missing live in Cape Town so much, and I feel like beeing back in lovely town while watching yout pictures! Thanks a lot!! You are doing a great job!!!! Paul, any idea what NB stands for?